Most homeowners disregard maintenance of their hot water tanks. Servicing your hot water tank is extremely important for a number of reasons hence the need for regular maintenance by HVAC technicians. Here are some of the reasons why hot water tank maintenance is necessary. Over time, your hot water tank will accumulate sediment, which is a result of a natural build-up of calcium in the water that looks muddy and settles at the bottom of the tank. The calcium build-up also depends on the hardness of water in the area. The sediment acts as an obstruction between the source of heat at the bottom of the tank and the water that requires heating. As a result, it takes more time for the water to get hot. In order to overcome this, maintenance is a must. HVAC companies do this by draining the hot water tank and cleaning it. Additionally, you save more money on power bills with a clean hot water tank. Flushing your hot water tank and cleaning it carefully guarantees that the water in your tank is clean. The sediment does not only affect the heating of water but makes your water unclean as well. Therefore, ensuring that you perform hot water tank cleaning at least twice annually or more depending on the hardness of water in your area, will ensure that you have clean water always. A clean hot water tank prevents contamination of your water and consequently prevents you from falling sick. You may discover some damage to your hot water tank when you decide to clean it. If there is any damage, you will need to seek repair services. Damages to hot water tanks may result from internal rust or weather conditions among other various factors. If the damage is extensive, you should consider replacing your hot water tank with a new one. However, you can prevent more damage to your hot water tank if you carry out repairs in good time. Regular checking of the pressure and temperature valve is essential for safety as well as avoiding hot water tank repair. This valve plays an important part in ensuring that the tank does not overheat. In order to ensure that the valve is functioning properly, try turning it on and off severally. If the water comes when it’s on and stops when it’s off, it means that the valve is working correctly. If your hot water tank has a filter for the air intakes from the combustion chamber, you need to have it cleaned. Vacuuming the filters during maintenance will achieve this. Dirty filters will definitely affect the proper functioning of your hot water tank. You will have completed the insulation for your heater and pipes when you are done with all the maintenance work. 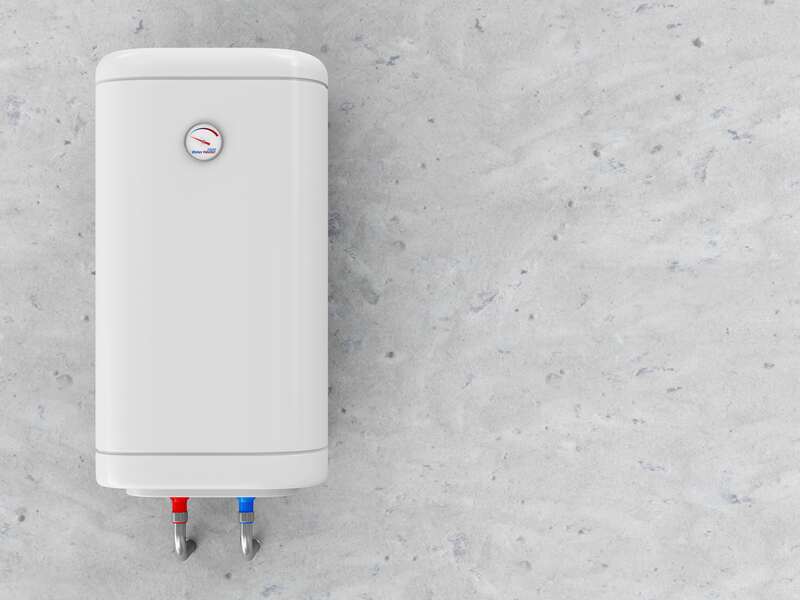 Regular maintenance will help you avoid hot water tank repair costs and as such, if you have not done maintenance for your hot water tank, then ensure that you seek the services of an HVAC technician.